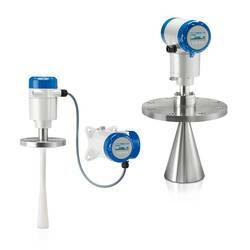 Automated liquid processing operations in many fields have requirements for accurate and reliable level measurement. The variety of media and application criteria demand continuous improvement in the technology, while still retaining niches for older style units utilizing methods that, through their years of reliable service, inspire confidence in operators. Here is a synopsis of the available technologies for instruments providing continuous liquid level measurement. All are generally available in the form of transmitters with 4-20 mA output signals, and most are provided with additional outputs and communications. What is notably not covered here are level switches or level gauges that do not deliver a continuous output signal corresponding to liquid level. Whether considering a new installation or upgrading an existing one, it can be a good exercise to review several technologies as possible candidates for a project. None of the technologies would likely be considered the best choice for all applications. Evaluating and selecting the best fit for a project can be facilitated by reaching out to a product application specialist, sharing your applications challenges and combining your process knowledge with their product expertise to develop an effective solution. Displacer – A displacer is essentially a float and a spring that are characterized for a particular liquid and range of surface level movement. The displacer moves in response to liquid level, changing the location of a core connected to the displacer by a stem. The core is within a linear variable differential transformer. The electrical output of the transformer changes as the core moves. Guided Wave Radar – A radar based technology that uses a waveguide extending into the liquid. The radar signal travels through the waveguide, basically a tube. The liquid surface level creates a dielectric condition that generates a reflection. Calculations and processing of the emitted and returned signals provide a measure of distance to the liquid surface. No moving parts. Magnetostrictive – A method employing measurement of the transit time of an electric pulse along a wire extending down an enclosed tube oriented vertically in the media. A magnetic float on the exterior of the tube moves with the liquid surface. The float’s magnetic field produces the return signal to the sensor. Processing the time from emission to return provides a measure of distance to the liquid surface. Pulse Burst Radar - A radar based technology employing emissions in precisely timed bursts. The emission is reflectex from the liquid surface and transit time from emission to return is used to determine distance to media surface. Not adversely impacted by changes in media conductivity, density, pressure, temperature. No moving parts. Frequency Modulated Continuous Wave Radar – Another radar based technology that employs a radar signal that sweeps linearly across a range of frequencies. Signal processing determines distance to media surface. Not adversely impacted by changes in media conductivity, density, pressure, temperature. No moving parts. RF Capacitance - As media rises and falls in the tank, the amount of capacitance developed between the sensing probe and the ground reference (usually the side metal sidewall) also rises and falls. This change in capacitance is converted into a proportional 4-20 mA output signal. Requires contact between the media and the sensor, as well as a good ground reference. No moving parts. Ultrasonic Non-Contact – Ultrasonic emission from above the liquid is reflected off the surface. The transit time between emission and return are used to calculate the distance to the liquid surface. No contact with media and no moving parts. Differential Pressure – Pressure sensor at the bottom of a vessel measures the pressure developed by the height of the liquid in the tank. No moving parts. A variation of this method is often called a bubbler, which essentially measures hydrostatic pressure exerted on the gas in a tube extending into the contained liquid. It has the advantage of avoiding contact between the measuring instrument parts, with the exception of the dip tube, and the subject liquid. Laser - Probably one of the latest arrivals on the liquid level measurement scene, laser emission and return detection is used with time interval measuring to accurately determine the distance from the sensor source to the liquid surface. Load Cell - A load cell or strain gauge can be incorporated into the support structure of the liquid containing vessel. Changes in the liquid level in the vessel are detected as distortions to the structure and converted, using tank geometry and specific gravity of the liquid. All of these technologies have their own set of attributes which may make them more suitable to a particular range of applications. Consulting with a product specialist will help determine which technologies are the best fit for your application.